Predator Battle Tank of the renegade Astartes warband known as 'The Purge'. 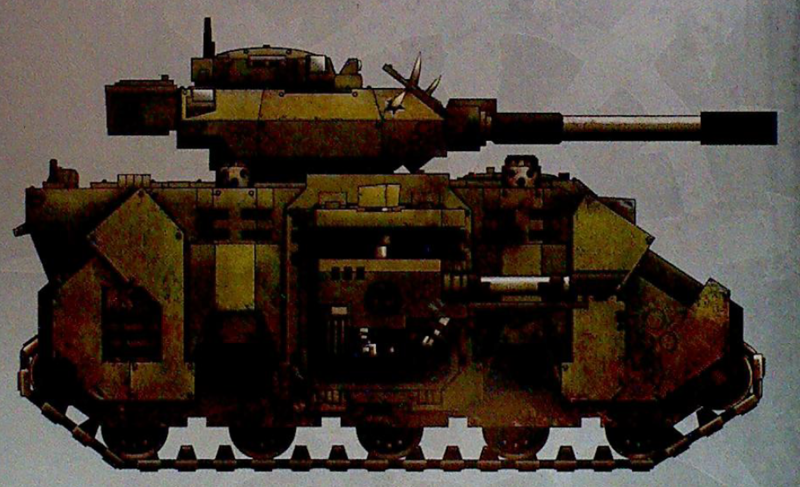 This vehicle, once of the venerable Deimos pattern, is confirmed as having participated in the Vaxhallian Genocides of 926.M41, where the population of an entire hive world was given the choice of drinking from a water supply tainted by the blessings of Nurgle, perishing from dehydration or being slain at the hands of the Purge. 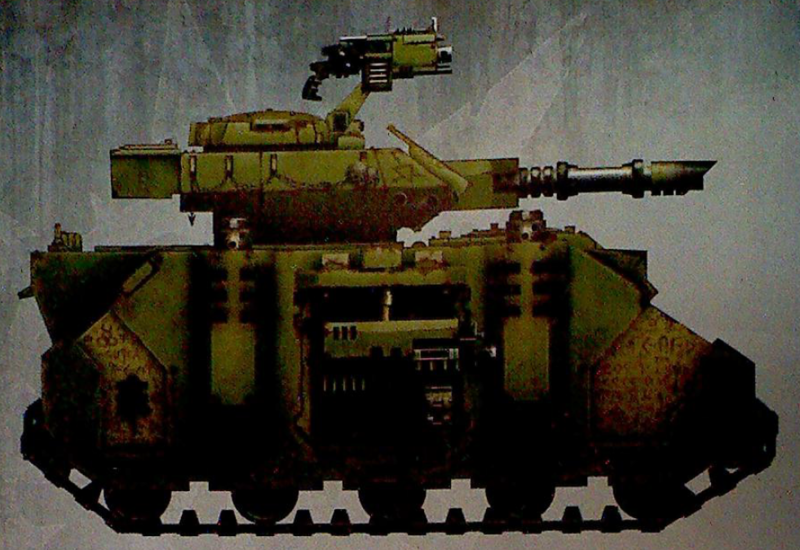 Predator Battle Tank of the Death Guard Traitor Legion. 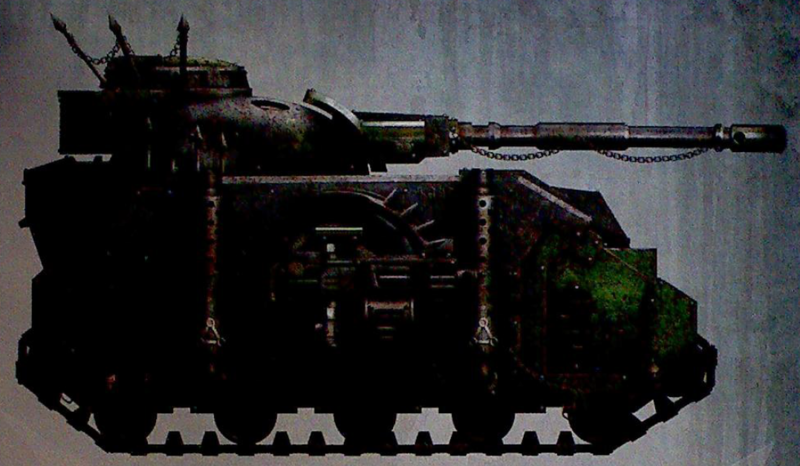 Once conforming to the Mars pattern and equipped with additional armour plating, this vehicle bears the beginnings of the stigmata of corruption so redolent of the taint of the Plague God to whom the Death Guard so long ago sold their souls. Predator of 'The Tainted', Siege of Vraks, 828.M41. This vehicle is recorded in sealed Ordo Malleus annals as having participated in the so-called Rotted Circus, a cavalcade of war machines and giant Chaos Spawn that has descended upon numerous Imperial worlds, leaving nothing but corpse-dust and despair in its wake.